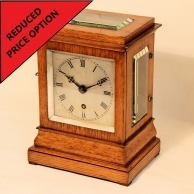 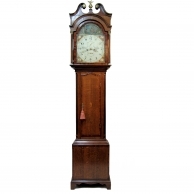 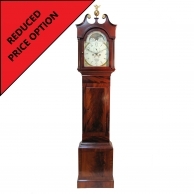 This has a well shaped, figured mahogany, four dial case with a Swan-neck pediment and flat bottom. 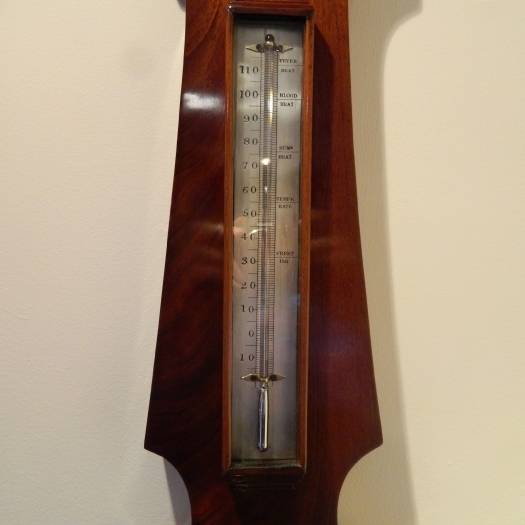 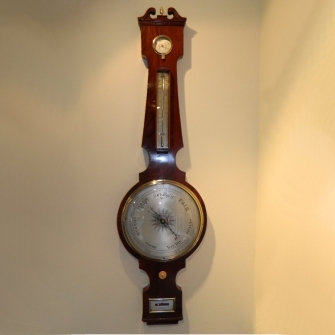 It has a brass top finial, hygrometer dial, long mercurial thermometer with a silver brass scale. 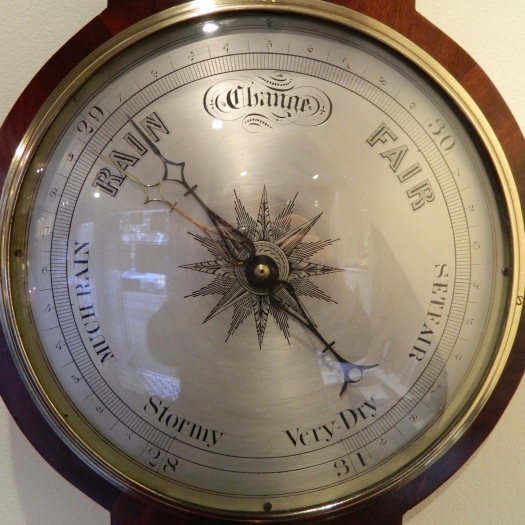 Also, a 10" silvered brass barometer dial with matching reading and setting hands and a lower silvered rectangular 'spirit' dial bearing the maker's signature: JOHN REED (of) LONDON. 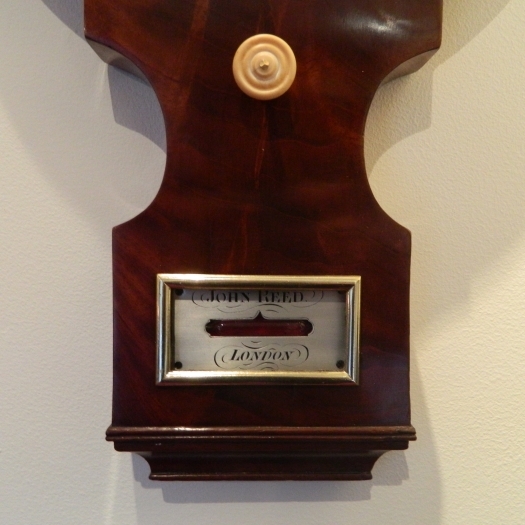 All the bezels are polished and laquered. 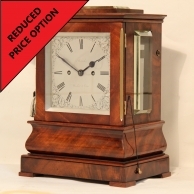 All in all this is a nice example with a pleasing look and is in near perfect condition. 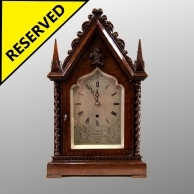 Dimensions: 41 1/2" high x 12" wide.